Matt Vecere, who grew up surfing along the Jersey shore, was on board Ethiopian Airlines Flight 302 when it crashed. His family says he was headed to the UN Environment Assembly. Matt Vecere, a Jersey Shore native, was on his way to a UN environmental meeting when flight 302 crashed on Sunday, killing him and everyone on board. His loved ones speak to NBC10. New Jersey native Matt Vecere was on board Ethiopian Airlines Flight 302 when it crashed, his employer IQAir says. “It is with profound sadness that we announce the loss of our friend and colleague Matt Vecere,” IQAir says. All 157 people on board the plane died after it crashed shortly after takeoff from Addis Ababa Sunday. A South Jersey native with a passion for surfing, helping Haiti and improving the environment was among the 157 people who died in an Ethiopian Airlines crash in Africa over the weekend. Matt Vecere was a passenger on Flight 302 from Addis Ababa to Nairobi, Kenya, when it crashed shortly after takeoff Sunday, his employer, IQAir, said Tuesday. “It is with profound sadness that we announce the loss of our friend and colleague Matt Vecere,” IQAir, an air quality company, said on its website. Matt Vecere grew up in South Jersey “working for his parents at various ranches and restaurants,” says a 2014 post on MattVecere.com. He lived in Cape May Courthouse but Vecere spent his summers teaching surf lessons for Heritage Surf and Sport Shop in Sea Isle City, surf shop owner Brian Heritage said. "At a very young age Matt always went out of his way to make sure if you were gonna learn something he was gonna take the time to teach you fully the right way," Heritage said. On his site, Vecere says he studied ocean engineering in Florida after graduating high school. He would later return to New Jersey to study at Stockton University, according to his bio. While living back in South Jersey, Vecere picked up writing, his bio says. Vecere moved to California in 2005 where he worked in the surf industry, his bio says. His "heartbroken" family released a statement saying that he would "be missed by many." "An avid surfer since his youthful days on New Jersey beaches, Matt has lived in California for more than a dozen years," the family said. "Matt was excited about taking the trip to Africa to attend the UN Environment Assembly for the first time." A team of U.S. aviation experts arrived on site where an Ethiopian Airlines jetliner crashed on its way to Kenya, killing 157 people. The plane was a Boeing 737 Max-8. 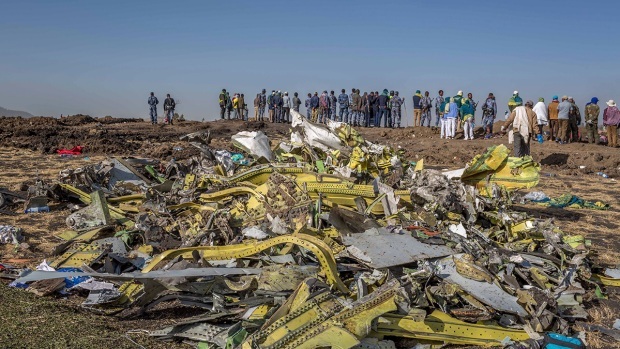 Now officials are investigating whether that jet suffered the same fate as another 737 Max-8 that crashed last year. The UN opened its environment assembly on Monday with a moment of silence for the crash victims, which included 22 UN staff members, the assembly said. Vecere was among those on the plane looking to learn more about environmental causes. He had a deep connection to environmental causes. "Matt was passionate about the environment, civil rights, social and environmental justice, and advocating for those less fortunate," his family said. "His passion turned to direct action, rolling up his sleeves to serve causes where he could make a tangible difference. He volunteered countless hours with charitable organizations, at community events, and with numerous relief efforts after natural disasters." Vecere worked as a writer for IQAir. They remembered him as dedicated and kind. Both IQAir and the Vecere family spoke of his dedication to helping the victims of a devastating 2010 earthquake in Haiti. "Matt had strong connections to Haiti," his family said. "He served with various organizations and made several trips to the island, beginning after the devastating earthquake of 2010, after hurricanes, and again as recently as two weeks ago." 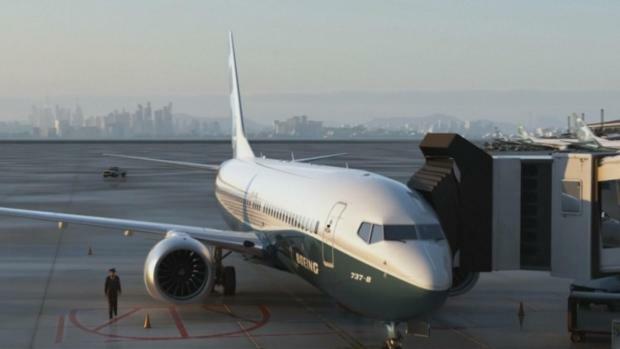 The news of Vecere’s death came as the Boeing 737 Max 8 plane that he died in comes under increased scrutiny. The same type of Max 8 plane crashed into the Java Sea off Indonesia in October. One-hundred-eighty-nine people died in that Lion Air crash. Airlines in Ethiopia, Mexico, China, Brazil, Argentina and Indonesia have temporarily grounded their Max 8s. No American airlines have grounded Max 8s at this point.